When you are forgotten your USB stick at school, work or by a friend, the LG USB xtick alerts you. If it's plugged into an unauthorized computer, the drive will lock itself down and send you the computer's information like host name, IP or other information. This is possible with the software of Inspice. It's a must-have for those who lose everything. The price isn't yet available. 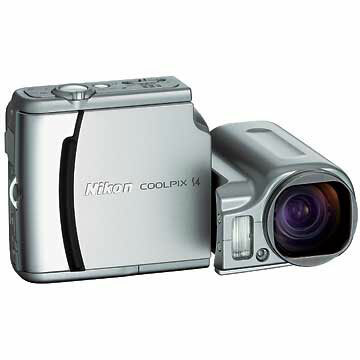 David D. Busch reviewed the Nikon Coolpix S4 digital camera for cnet. 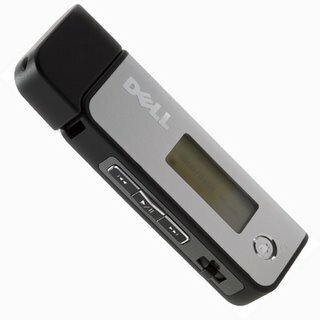 This Flash MP3 Player is reviewed by Michael Kobrin. The industrial design looks nice, the sound quality is good, and documentation is ample, he says. Gigabyte released a powerful Windows-based smartphone, Einstein. Einstein runs on Windows Mobile 5.0, it features QVGA resolution, a 2.1MP camera, tuners for FM and TV reception, 64MB of memory and Mini-SD card slot. Sony launches new 5GB compactvault drive for high quality photos and video. Sony Electronics announced last week the debut of the Compactvault™ removable hard disk drive that uses Compact Flash type II slots, such as those found in digital still cameras. The new drive is designed for photo enthusiasts and so-called "prosumers". The Compactvault drive has a capacity of 5GB, offering the increased capacity required for high quality photos and video. Measuring just over 1 ½ inches wide and less than 1 ½ inches high, the Compactvault drive can hold up to 1,600 JPEG images (at 3MB each) or 200 minutes of MPEG4 video. The new drive also features high transfer speeds of up to 12MB/sec. "The Compactvault drive signifies a marked advancement in hard disk media for digital cameras, with its increased storage capacity and very reasonable cost," Mike Lucas, Sony Director of Consumer Media and Data said. Shipping will begin later this month with a suggested retail price of $199.99. The Compactvault drive will be available online at SonyStyle.com, SonyStyle stores and authorized retailers nationwide. Cnet has made a top of the mp3-players they reviewed. The best hard drive player is th Apple iPod followed by the Sony Network Walkman NW-HDS. In the category of the flash based players the number one goes to the Apple iPod Nano, the number two is for the Cowon iAudio U2. Plantronica Versa wireless earbuds. The design uses a miniaturnized base outfitted with Bluetooth to connect to your cellphone, and RF to connect to the actual earbuds. It's only a year or two out from being ready to launch this technology, the company claims. It will come in 3 styles.